(File pix) Economists say the recent 2019 Budget illustrated the government’s credible and well-executed measures in strengthening the fiscal administration in terms of discipline and governance, restructuring of government debt and diversification of government revenue. They, however, reduced Malaysia’s economic growth forecasts for this year and in 2019. “The panic in emerging markets has subsided, but worry has not gone away. Rising interest rates, trade disruptions and volatile oil prices leave some vulnerable countries a bad news story away from renewed crisis,” one of the economists said. According to Bloomberg Economics’ emerging-market vulnerability scorecard published Wednesday, Malaysia was among the six countries with the least vulnerability to emerging market panic. It has the same score with South Korea and better than China, India, Mexico and India which were previously mooted as the least vulnerable countries. Malaysia sat below Taiwan, Saudi Arabia, Russia and Thailand. At the other end of the spectrum, Turkey, Argentina and South Africa top the list as the most vulnerable countries. The ranking is an equally weighted composite of country scores for indicators such as government effectiveness, current account balance, short-term external debt by remaining maturity, reserve coverage and the latest headline inflation rate. The government had faced the challenge in balancing the budget to meet fiscal consolidation target and at the same time boost the economic growth, according to economists. Boosting economic growth requires expansionary fiscal policy or an increase in government expenditures, which in turn increases fiscal debt. 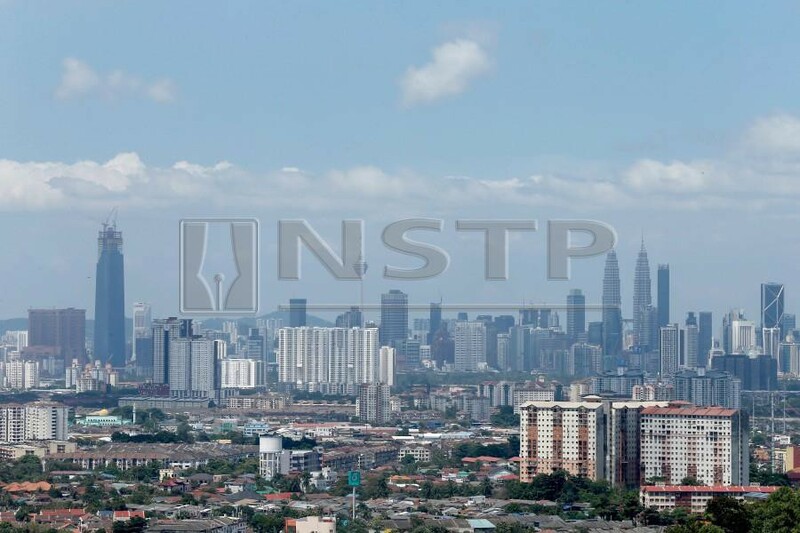 Economists from the likes of Fitch Rating, America Merrill Lynch Bank, Barclays and Nomura Securities had revised their forecasts on Malaysia’s economic growth downwards for this year and in 2019 since November 2. The Bloomberg median estimate now stood at five per cent and 4.9 per cent for 2018 and 2019 respectively from 5.2 per cent and five per cent previously. “The government is doing what it takes for the country — balancing the cut in expenses versus strengthening the economy’s resilience in the short term plus planning for the future challenges. “Our macro numbers are still okay for now and with the government looking at more targeted subsidies and better planning including cost cutting of mega projects and postponing some of them, it would make Malaysia less vulnerable to emerging market crisis especially,” MIDF head of research Redza Rahman said. “It is prudent to spread out the mega projects.. Looking at budget deficits, it is still a moderate level, pretty much unchanged. But this has taken into account of clearing the monies owed, including tax refunds,” he added. Hong Leong Investment Bank said 2019 Budget was comprehensive as it was intended to reset the fiscal process to broaden the revenue stream.